100 IV Covers per package. Available in two sizes this IV cover in amber will block out 90% of UV light so is perfect for dispensing IV admixtures that contain light-sensitive drugs. The slit in the packaging makes attaching to a hanging drip easier and cleaner. 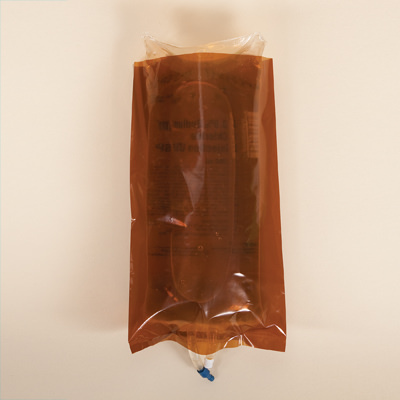 IV covers can be used on empty IV bags to cover patient information labels.